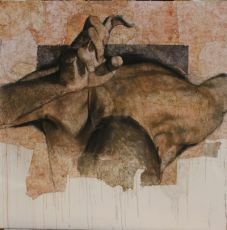 Italian artist Maurizio Bonfanti work encapsulates a depth of emotion that evokes a response from all who view. Bonfanti was born in Bergamo and is the son of the painter Angelo Bonfati. 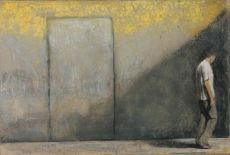 As a painter he has experimented different techniques influenced by his knowledge of etching with themes like the human body, nature and urban landscapes. 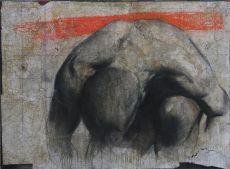 He has produced several cycles of works, in particular... Read moreItalian artist Maurizio Bonfanti work encapsulates a depth of emotion that evokes a response from all who view. Bonfanti was born in Bergamo and is the son of the painter Angelo Bonfati. 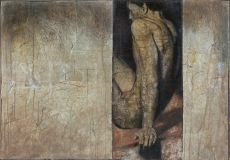 As a painter he has experimented different techniques influenced by his knowledge of etching with themes like the human body, nature and urban landscapes. He has produced several cycles of works, in particular many based on religious themes.